While the status of Muslims in Europe has become a major political issue, there has been less controversy, until recently, about the position of Christians in the Islamic World. 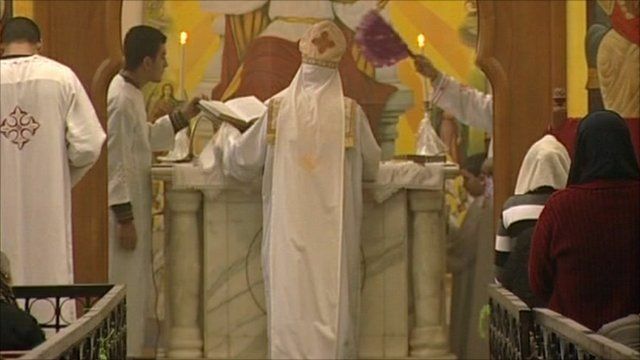 But Christian minorities in the Muslim World are coming under severe pressure and especially in Egypt, where an estimated tenth of the population is faithful to the Coptic Orthodox Church. Newsnight's Tim Whewell reports from Cairo where he met some of those people facing difficulties.